Gulliver Expeditions is a South-American tour operator based in Quito, Ecuador. We offer tours through all of Peru and Ecuador, including the countries’ highlights: the Galapagos Islands and Machu Picchu. Traditionally specializing in adventure travel such as climbing, hiking, mountain biking and horseback riding, Gulliver offers both pre-planned packages as well as tailor-made tours. Since our establishment in 2005, we have been continuously working on improving and expanding our offers, leading us to become one of Ecuador’s most respected tour operators. We at Gulliver value the preservation of our beautiful environment. For the organization of our tours we work together with local indigenous communities. Furthermore, we are supporting agricultural projects, such as ecological market gardening and fruit growing. Additionally, since 2013 we have been committed to supporting children in difficult conditions. 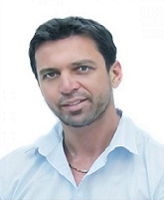 Eran Hayoun is the manager and owner of Gulliver Expeditions Company. In 2001 Eran was 26 years old and came to Ecuador from Israel with the dream of establishing a self-sustained, organic farm in the western highlands. After searching for six months for a farm he found the “Hacienda Bolivia” and started working to establish a Hosteria (farm house). On March 27, 2002, Eran opened “Hosteria PapaGayo”, for those who want to enjoy the nature and the charm of this land. After three years Eran created Gulliver Expeditions and to amplify the services. Ricky Almog is the manager of Gulliver’s office. Ricky has graduated with a laws and administration master degree. She knows all the provinces in Ecuador—their hotels, their communities, their unique ecosystems, their tourist facilities, their culture, and much, much more. Ricky possesses a very advanced sense of humor and relates well with every client. 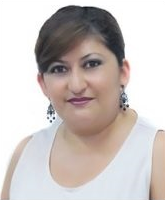 She is friendly and a good leader, also she has travelled to more than 20 different countries in America and, therefore, will be happy to help you with multi country programs. Supervisor of Gulliver’s central office and the French member of our team. He came to Ecuador nine years ago and fell in love with the country. He has travelled to many destinations and knows the country as if it were his own. During his studies of “Tourism” in France, he started working in the tourism industry as a guide. In the early 2010, he joined Gulliver. 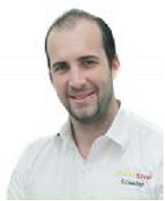 He either works in the office in Quito or guides tours in the region. Jeremy is fluent in French, English and Spanish and with a little help of his Parisian charm he can handle nearly every customer’s wishes. 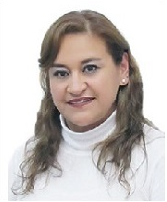 Elízabeth graduated from the University in Quito with a major in Engineering Management Tourism Marketing Companies. She has been working for 14 years in the tourism sector, that has given her good knowledge of all areas in Ecuador and Galapagos Islands. She is a specialist for tailor-made tours. Elizabeth manages Ecuadorian guides, hotels, transportation and reservations of services for our tours and she worries about a personal assistance for her passengers. She loves to spend time with her family. Tania is a graduated guide but she has never worked as one. During an internship atRelated Information a prestigious travel agency they proposed her to stay and work in the Operations sector. Therefore she recognized working in an office suits her better and she accepted the placement. Nowadays she has worked for 21 years in the tourism industry and has recently become part of the Gulliver team. In her leisure time she enjoys spending time with her family, doing sports and going to the cinema. Janina is our German member of the sales department and joined our team at the begining of 2017. She studied International Tourism and earned a Master Degree in International Management in Germany. During her Master studies she came to Ecuador for an internship and traveled through the country to get to know the ecuadorian culture and the most beautiful places. After finishing her studies she came back to Ecuador. 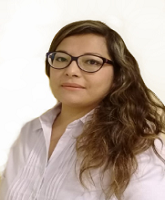 She speaks German, English, and Spanish fluently and always tries to help the clients with all her experience and knowledge about the country. 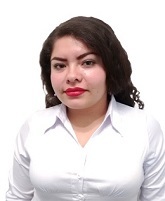 Johana joined the Gulliver Team in december 2017. 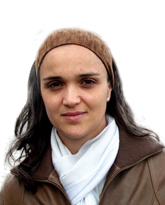 She studied Eco-tourism at the Catholic University of Ecuador. Before she came to strenghten the operations department at Gulliver Expeditions she worked as a guide at the Midle of the World Museum. She loves the Ecuadorian culture and its beautiful landscapes and therefore wants every one to see what an amazing country Ecuador is. In her free time she enjoys dancing, riding a bike with her friends and reading a good book. 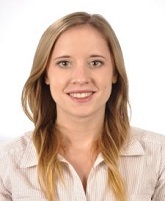 Sorayda studied tourism management at the San Antonio National University Abad in Cusco. After graduated she earned experience working in tour operators in Cusco, Ollantaytambo and Machu Picchu where she really found her passion of sharing Peru´s culture to the world. 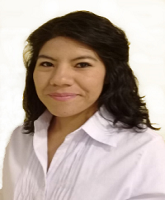 Now she is part of the operations department in our Cusco office. During her free time she loves biking the surroundings of Cusco to continue learning about this amazing culture. Melissa´s experience on the Peruvian travel industry goes back to 2010, she started as tourist guide in Colca Caynon, Arequipa, teaching tourist about the importance of the Peruvian culture, folklore and traditions. Together with her daugther like to travel and learn new cultures as well, for that reason they have visited many countries in Asia and Europe to learn about their cultures. Andres is our Marketing Manager. His experience goes back from living and working in the tourism business in the United States for several years earning a Business Managment degree in the Loyola University Chicago. He is in charge of optimizing our website, social networks and all digital platfomrs where Gulliver Expeditions expose its products.